We are a friendly congregation of about 40 worshippers with a strong emphasis on pastoral care. 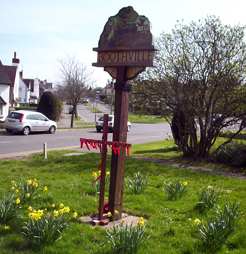 We meet at 10:30am each Sunday in Boothville Community Centre. This is situated in the lane beside the hairdressers in Booth Lane North. Like the rest of the Emmanuel Group we are a mixture of denominations. and involving the wider community. and to actively seek to extend God’s kingdom in Boothville and beyond. and there is always a warm welcome for both newcomers and visiting preachers. For more help or information please contact the Emmanuel Church Office on 01604 402150.